Cast iron basement, metal central leg, marble top. 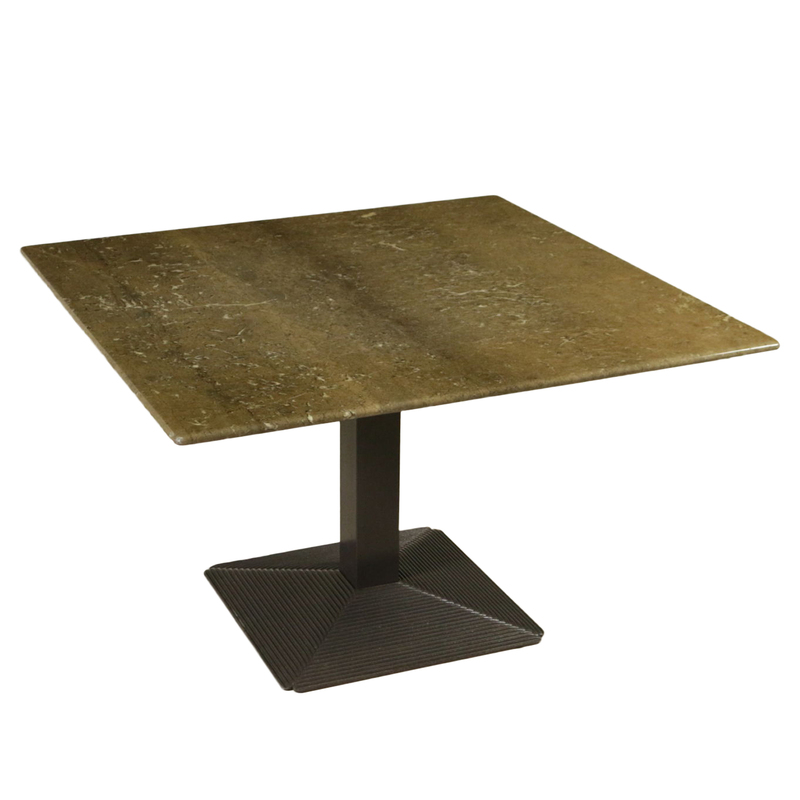 'Piediferro' table designed by Afra Bianchin and Tobia Scarpa for B&B in 1979. Cast iron basement, metal central leg, marble top. As reported in the book 'Un'industria per il design' by Lybra Edizioni, Afra and Tobia Scarpa, going on with their research for projects suitable for great supplies, focus their attention on new and unusual materials for furnishing, and on new industrial treatments of materials. One of the most interesting studies was the one related to experimentation of cast iron [...] In 1979 'Piediferro' was designed, which is mainly a black cast iron basement for tables, with a squared metal support. The choice of metal for the leg, instead of a fusion, is due to the possibility of having any height. For the top, any material can be used, from marble to coated chipboard, provided that the dimensions of the top are maintained.